Immaculately fabricated milgrain details are an eye-catching addition to gleaming 950 platinum in this designer men's wedding ring. 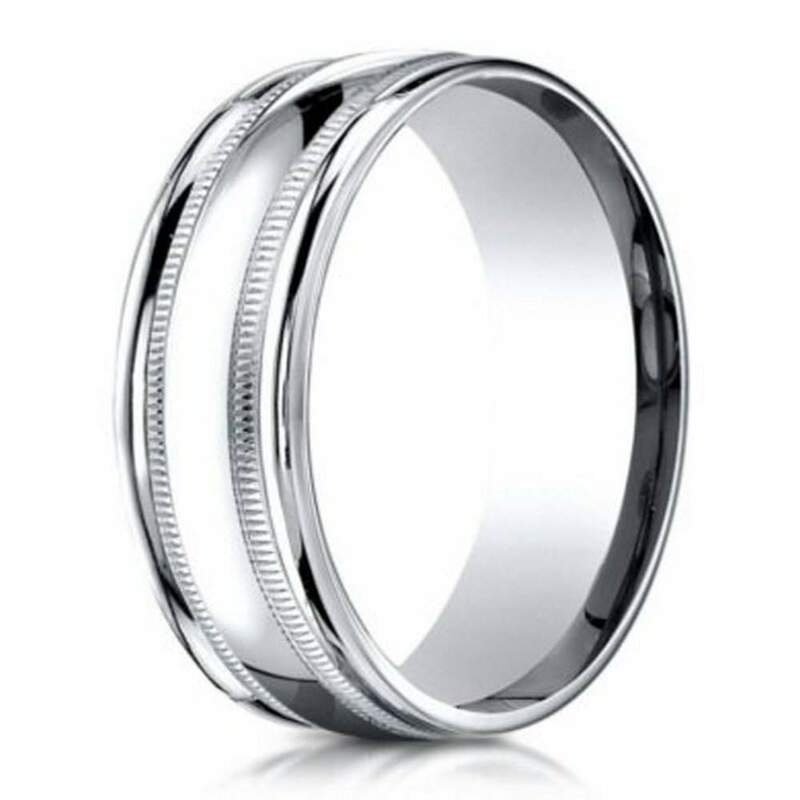 The 6mm comfort fit band is made of superior 95% pure platinum in a shining polished finish, accented with parallel milgrain bands and gently rounded edges. Comfort fit rings usually measure 1/2 size smaller due to the additional metal inside the ring. We recommend having your finger measured for a comfort fit ring at your local jewelry store.